Find every one of our youth incontinence products below. IDiaper offers a wide variety of youth incontinence products designed specifically for the older children or teens with incontinence needs. The brands offer the same quality, and technology that is used in their adult incontinence supplies brought down into sizing for the child or youth's body form and needs. With the selection available you should be able to find everything available for adults in the youth grouping. The child or youth's body form is different from an adult’s body, thus the need for specific products for them. 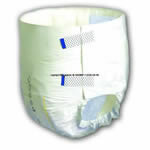 The youth pull up or youth diaper with tabs must fit properly for it to prevent leakage and yet still be comfortable. The Tranquility brand brings it's slimline style and the overnight diaper or brief into the realm of child (youth) sizing. 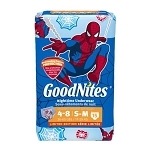 These products have all the same high quality technology that is in the adult size pull up or brief (diaper with tabs) in a size designed for the youthful body. The Tranquility brand is one of our best sellers with an extremely high rate of absorbency. The SlimLine will hold over 10 fluid ounces and other Tranquility products hold even more. You child has access to a pool, whether it be for fun or therapy, but they have an occasional bowel incontinence problem. Instead of the child sitting by and watching everyone else enjoy the water, idiaper offers two different brands of youth diaper swim wear. This swim wear is made for the child or youth with the shorter rise, smaller hips and waist size. You know a diaper or brief won’t work in the water. These products are made to go in the water, under your child’s swim suit. No one will know they are there. They will allow your child to participate in water therapy as well as just have fun in the water. Are you earth-friendly minded? Do you hate throwing the disposable diapers into the garbage that eventually ends up in a landfill? 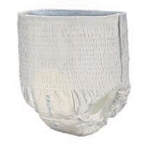 Idiaper offers a few reusable diapers or briefs for those with a child (youth) size. So whether you are looking for a disposable or reusable diaper or brief, idiaper carries a wide variety to select from. If your child needs protection all day long or just a night, we have a product that will keep them dry and comfortable without leakage. Would you like your child to be able to go in the pool without worrying about their incontinence problem, the swim wear section has two available in a youth sizing to be worn under their swim suit. No more embarrassing moments for the child. When in doubt, or if you have questions about the products, please give IDiaper’s Customer Service staff a call or email. 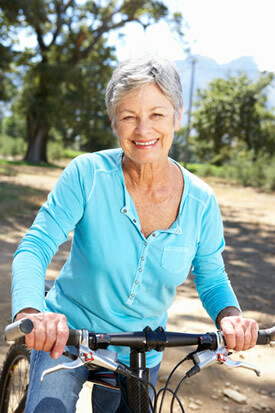 They have years of experience with the incontinence products and are there to help you. There is no need for the frustration to continue. Our staff will guide you to the products that will fit your needs and have them delivered in a timely manner to your doorstep.